The banding effort, now done by the District’s department of Natural Resources, is part of Monitoring Avian Productivity and Survivorship (MAPS), a continent-wide program coordinated through the Institute for Bird Populations in Point Reyes, Calif. 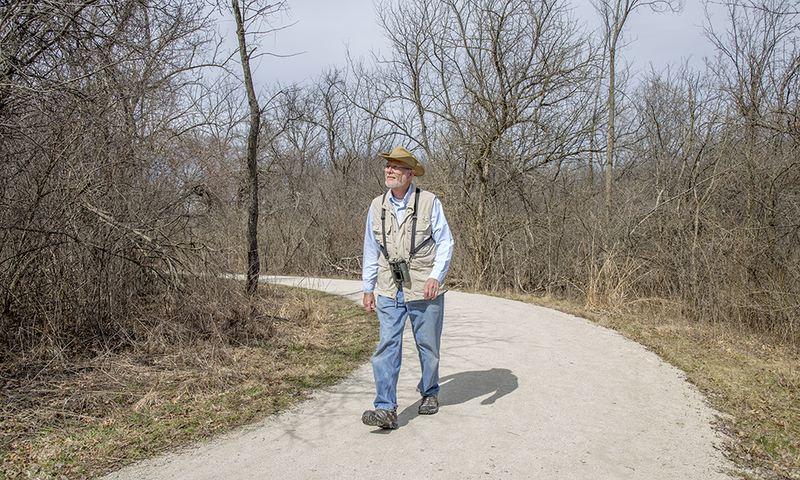 Started in 1989 with 16 stations, the MAPS program has grown to more than 1,200 stations, including one started in 1991 at Waterfall Glen by the volunteer Chicagoland Bird Observatory. The Waterfall Glen station is the longest-running station in Illinois and one of the longest-running stations in the continent-wide MAPS program. 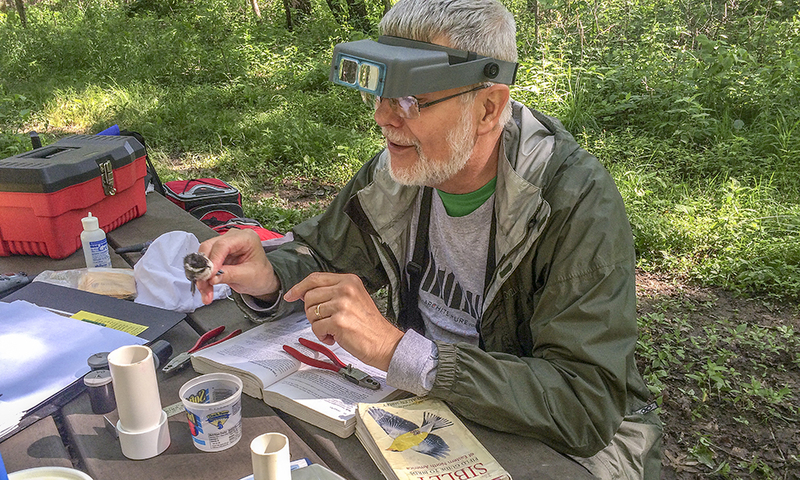 Gabanski with a bird caught at Waterfall Glen as part of the District's work with the MAPS project. He fits captured birds with numbered metal leg bands and records species, gender, weight, age, feather condition and breeding evidence before releasing them. 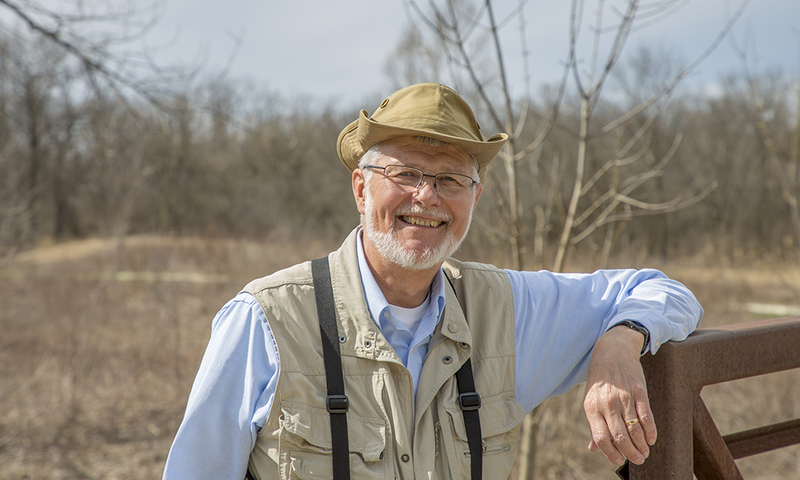 Gabanski also just finished serving as treasurer of the Bird Conservation Network for 15 years, and has been a volunteer in the Bird Division of the Field Museum since 2005. 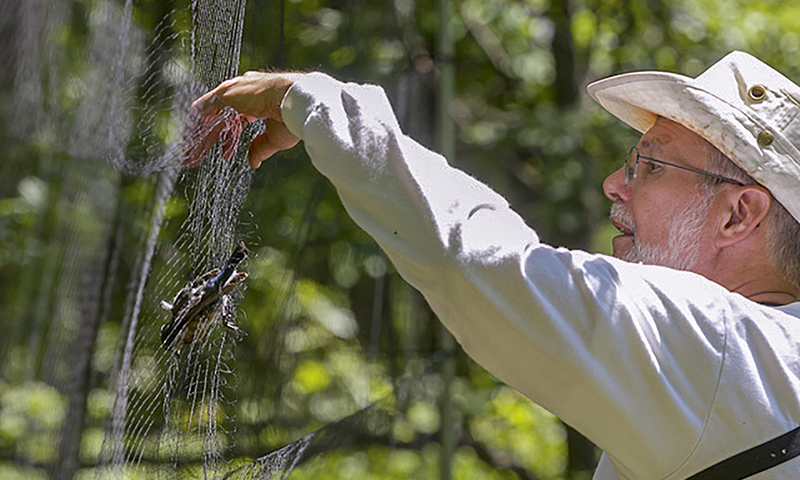 Gabanski removes a bird from mist netting at Waterfall Glen Forest Preserve in Darien as part of the District's MAPS project. “In a way I caught the nature bug as a kid, but I think it really began when I got into birding around 1990” during a visit with his sister in Lake Tahoe. “She had me hold out my hand with a sunflower seed in it,” Gabanski said. “Suddenly a mountain chickadee landed on my hand, picked up the seed in its beak, and flew up to a tree to eat it. Suddenly I wanted to learn more about birds. “When I got back home I started looking at the birds in my backyard,” he said. “At the time, I was so new to birding I didn’t know that female house sparrows look different from males. I thought they were different species. 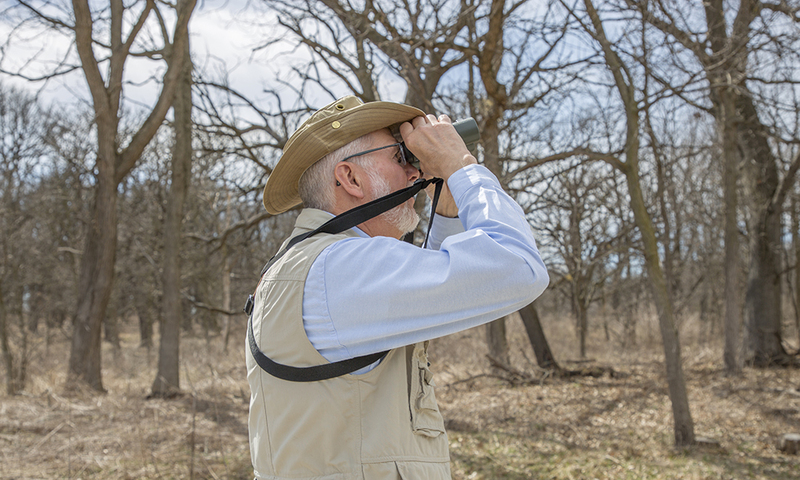 “Now I regularly send in reports from my backyard to Project FeederWatch run by the Cornell Laboratory of Ornithology,” he said. Gabanski also does bird point counts for the District’s Natural Resources department to help inventory and monitor bird populations. He tallies all birds detected by sight or sound at a certain location during a specific period of time. 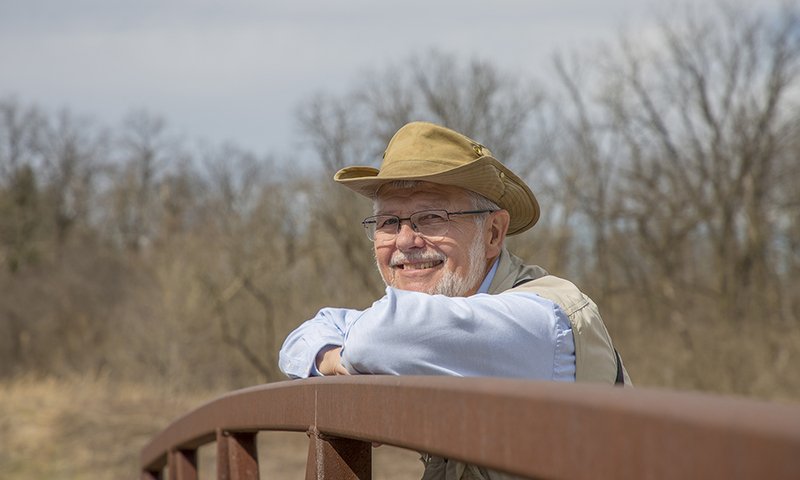 Glenn Gabanski on a recent hike at Oldfield Oaks Forest Preserve in Darien. “Nature reminds me of what took eons of time to evolve into systems of balance but could be destroyed by humans in a relatively short time,’ he said. “A tree or plant community often takes decades to mature, but can be destroyed in minutes by a chainsaw or bulldozer. And these alterations are often permanent. “Nature inspires wonderment in me, and an appreciation for its beauty. And it inspires me to want to preserve and protect what is left,” Gabanski said.